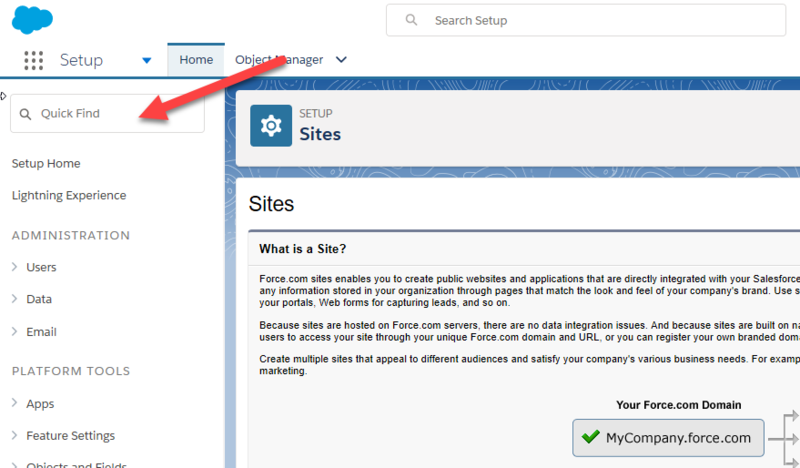 Force.com Sites enables the public facing web pages to be made visible to internet users and/or internal intranet users. 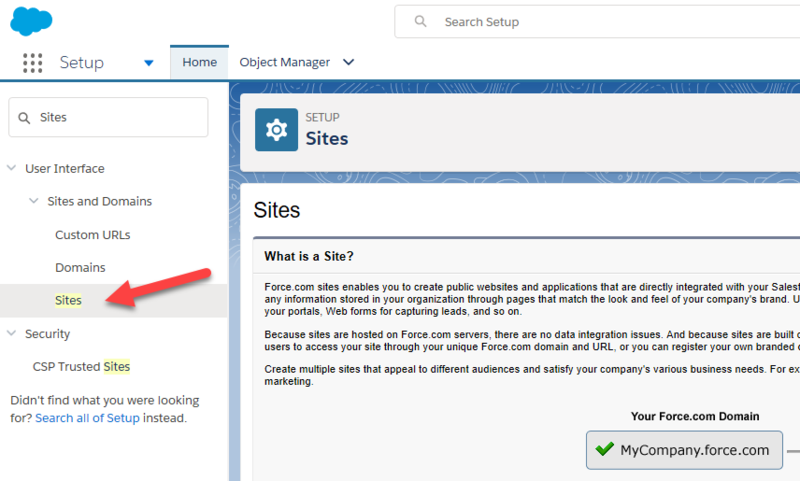 If you haven't already enabled Force.com Sites or are unsure if it's already enabled, this step-through will guide your progress. 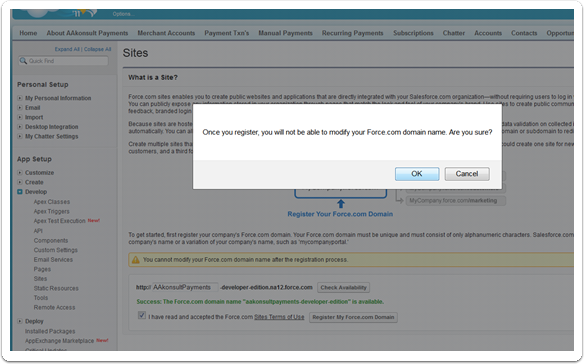 Note: You need to create a Force.com domain to enable Force.com sites. You can only create a domain once so choose its name wisely. 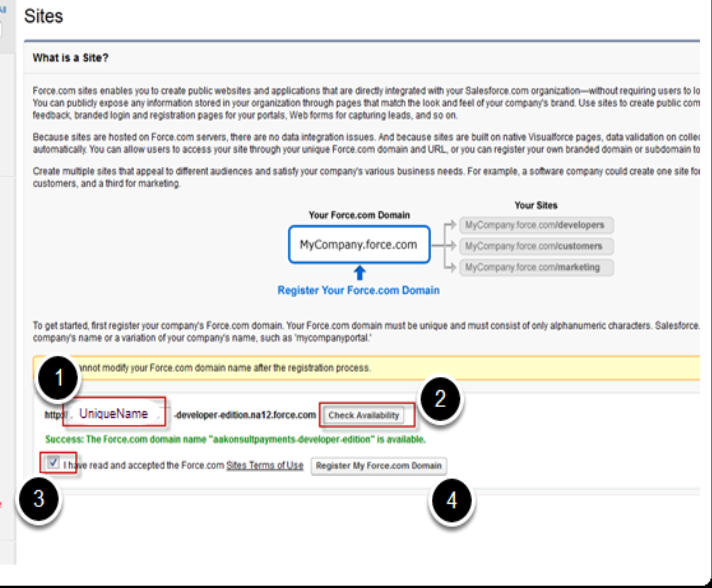 It is not possible to amend the domain once it has been registered. Note: You can only create a domain once so choose its name wisely. It is not possible to amend the domain once it has been registered.